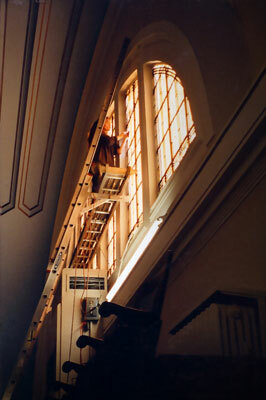 In this restoration project sufficent funds were not available to remove a large window located in the church's balcony. This is a good example of Opal Glass' onsite repair capabilities. Sharon worked from a ladder jack to perform onsite restoration services before damaging winter winds arrived.